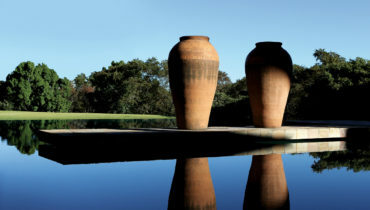 The Saxon Hotel, Villas and Spa is a highly respected patron of the arts with an inspired vision of the creative arts. 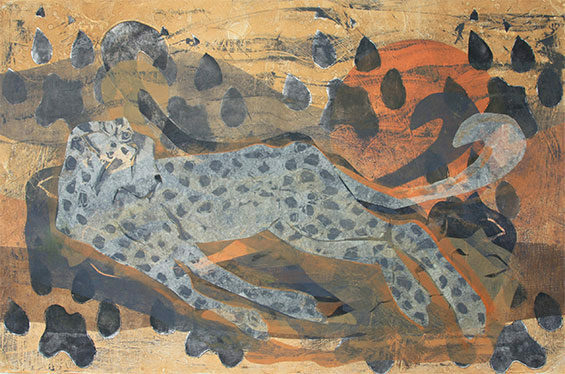 While Hilton Edwards’ deceptively structured, sparse compositions reflect his interest in Vedic teaching, his equally passionate love of African culture can be seen in his use of material, texture and colour. His restrained and controlled canvases introduce a typically contemplative mood to the Saxon Art Collection. Marcel is a highly talented, multi-award-winning graphic designer. He is also a painter of large, bold and spontaneous abstracts in which the act of painting plays a central role. Nine of his abstracts were selected for the Saxon Art Collection, in recognition of the controlled vibrancy they introduced into large spaces such as the main dining areas. Fiona Rowett is a talented graduate from the Michaelis School of Fine Art, the Fine Arts Department of the University of Cape Town, which has a long and proud tradition of producing outstanding graduates. 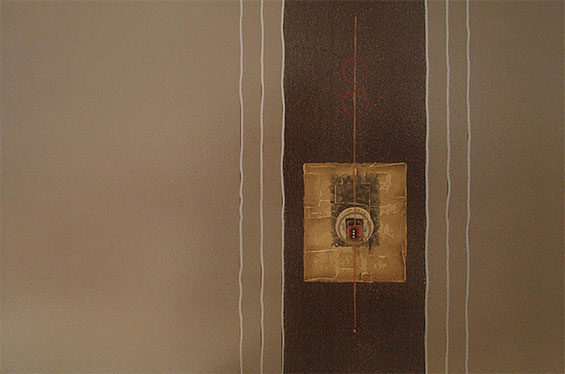 Fiona Rowett, a well established artist, has contributed to numerous art exhibitions since the 1980s. 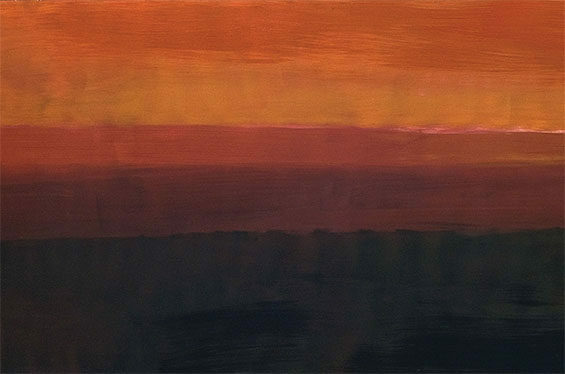 Her distinctive abstracts are often inspired by landscapes and are characterised by a sensitive use of colour. 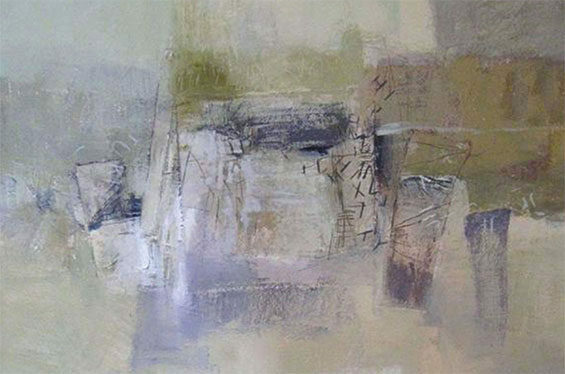 She works intuitively, creating layers of evocative and rich shapes, textures and colours. Close on 60 of this up-and-coming artist’s limited edition photoimages have been selected for the Saxon Art Collection. 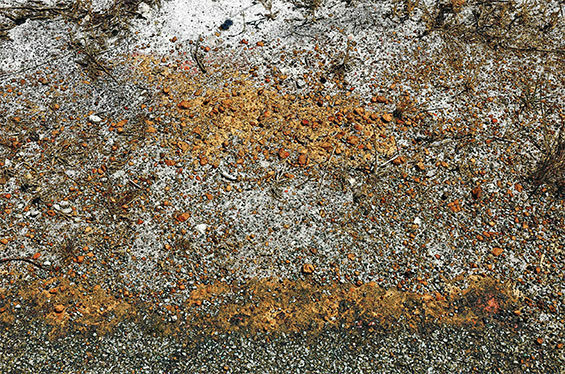 This painterphotographer’s unusual, evocative photographs of seashore-related subjects are skillfully crafted in terms of composition, colour and contrast to produce the most intriguing abstract artworks. 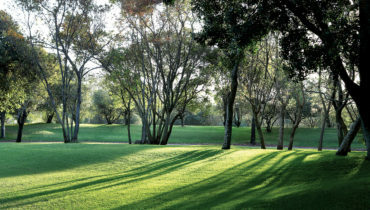 Roswitha was born in Riga, Latvia, and came to South Africa in 1952. A student of George Boys and Karin Jaroszynska, she became established as a consummate water-colourist. 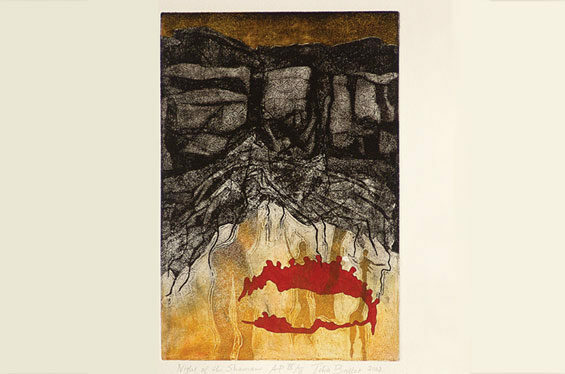 The Saxon Art Collection features her woodcuts created in the 1970s and 1980s. These highly stylised depictions of people, plants and animals received many awards at international exhibitions in Switzerland, Germany, France, Spain and the USA. This well known multimedia artist was commissioned to execute 36 large-format, multicolour monotypes to enhance various public areas in the Saxon. 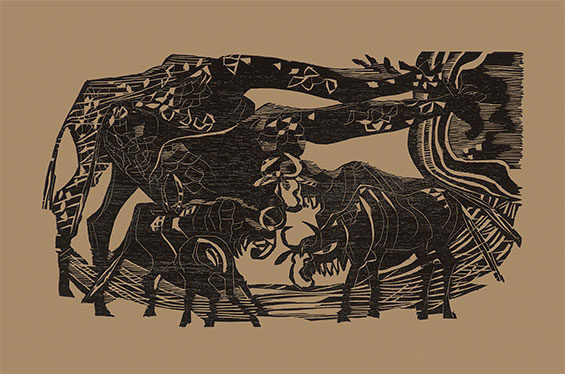 These enchanting and technically demanding artworks depict conservation and environmental concerns in an abstracted style which is both informative and visually pleasing. 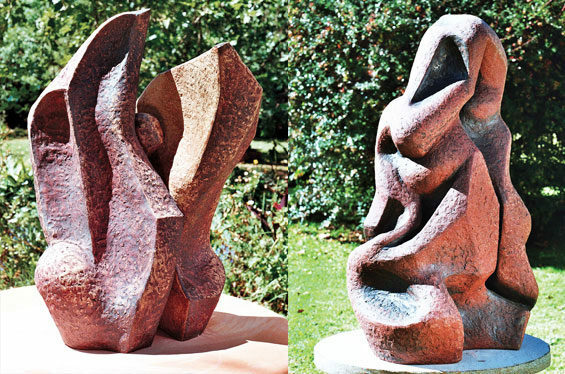 One of the selected artists, the internationally renowned Hannes Harrs, passed away in 2006 and therefore no new works are available in the market. 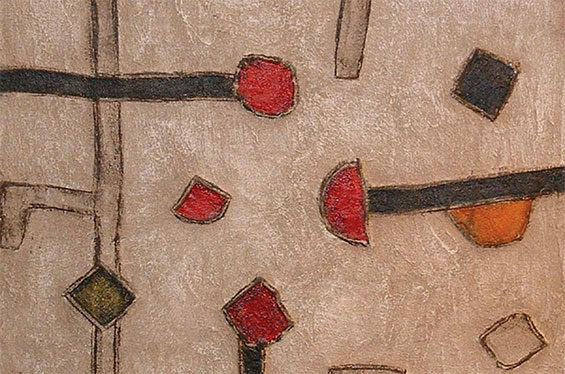 His daughter, Sue Winchester, helped to locate 23-odd works, including his well known Kuba cloth collages and various works in oils. Two large etchings by Dirk Meerkotter, a highly awarded pioneer of abstract art in South Africa, were selected for the Saxon Art Collection. At that time the artist was already 88 years old and had not produced any new works in recent years. His son, Dirk Meerkotter Jnr, dug deep in his father’s art drawers to provide the Saxon with these two superb examples of the master-etcher’s art. 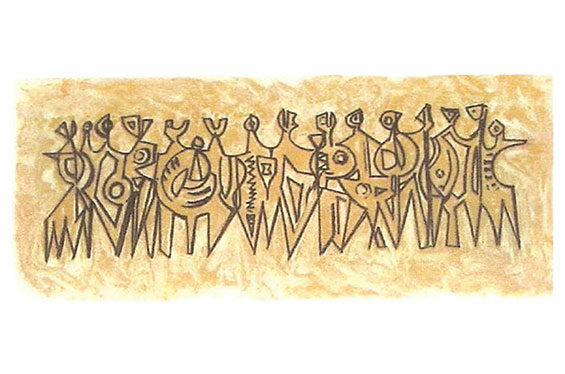 The Saxon Art Collection includes 8 commissioned works from Sandile Zulu. 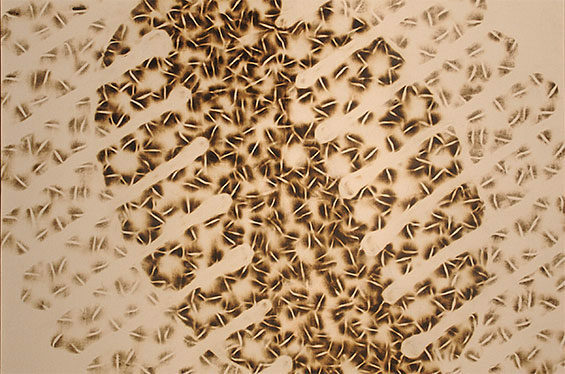 His innovative art explores a unique African vision, with fascinating seared, singed, scorched and burnt canvases. Sandile was invited to participate in an art project at the Smithsonian National Gallery of African Art in Washington DC, and was awarded a residency at the Nirox Foundation’s prestigious arts centre to work towards this project. 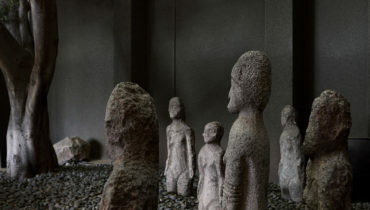 The only 3-dimensional works included in the Saxon Art Collection are the 16 stoneware sculptures by Amalie von Maltitz, doyenne of South African ceramic sculptors. These abstract sculptures are reminiscent of bones, rock formations and the human figure, all in a distinctly African context. A series of original sketches by the acclaimed artist, Dean Simon, features some of the Saxon’s most celebrated guests. 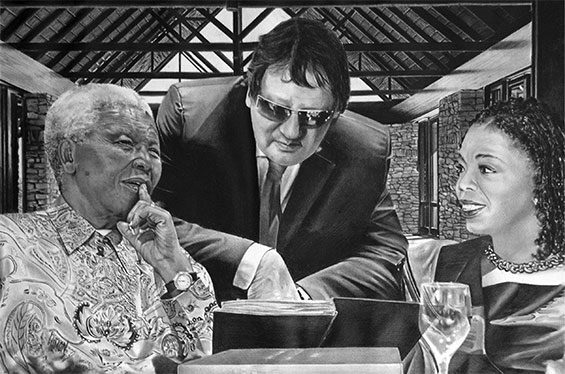 One of the most notable of these is the evocative work titled ‘Foresight and Hindsight – The Five Faces of Mandela’, which traces the progression of Nelson Mandela’s life from his early youth through to the gentle, compassionate older statesman who has become a much revered icon and role model for South Africans and millions of admirers all over the world.